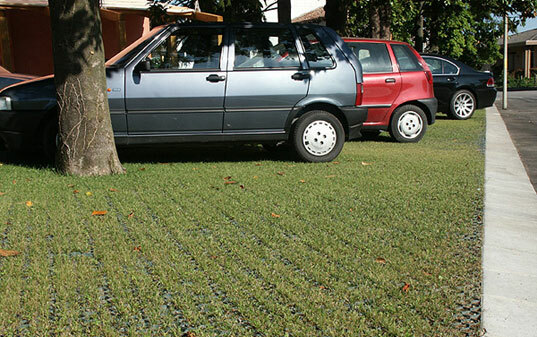 TT-24 - NDS TuffTrack Grassroad Paver 24" x 24"
TuffTrack Grassroad Pavers is a honeycomb cell paver product that allows light to heavy vehicular traffic to drive over turf areas. It prevents compaction allowing healthy root growth. It may also be used for erosion control. 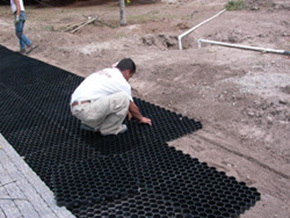 A tongue and groove latching system provides quick and secure connection between the pavers. 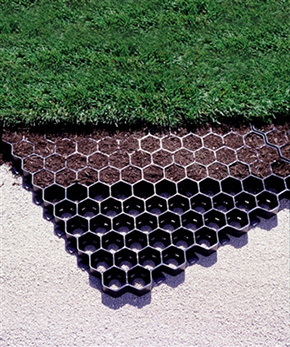 The cell design includes more openings in the cell base allowing the paver to grip the subsurface, increase drainage, and increase oxygen transfer by 56 percent over any other honeycomb plastic paver. 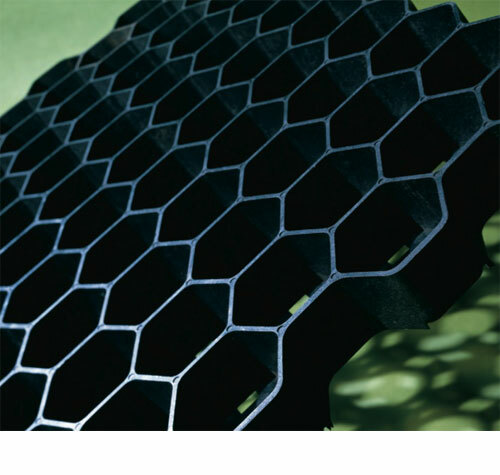 The smooth top surface of TuffTrack grass pavers eliminates sharp corners reducing liability to pedestrians. TuffTrack is the ultimate product for promoting healthy turf in traffic areas as an alternative to aesthetically unpleasant concrete or asphalt pavements. 1-1/2" x 24" x 24"